Why am I preparing this article series? Two years ago(March, 2016) we started a project to develop self-driving cars. That’s why, we have done a lot of deep research on this subject. These researches included the physical systems of automobiles, sensor systems and all software infrastructures. At the same time, we followed all the educational content in this area. Of course, we have closely followed all competitors in this sector. As a result of all our research, we have obtained some information. And I want to share some of that information. We had to terminate this project. However, perhaps this information can help different researchers. Note 2 : The original article was written in Turkish 2 years ago. But now I’m updating this article to make it a series of English articles. to review the previous article click(A1, A2) please. What topics will be included in this article series? Smart and autonomous systems has too many sub-topics and technologies. My interest transportation that’s why I’m going to focus on this subject. We can start with fuel culture. As everyone knows, almost 100 years ago two geniuses lived in this world. Their name is Nikola Tesla and Thomas Edison. Their life was very deeply connected to electricity. These people have acquired hundreds of new inventions and patents. But we still have a big problem. We didn’t have any electricity car until a few yars ago. Yes, I know! Some car brands produced electric cars many years ago. However, these vehicles were not widely used. Anyway, we can go back 100 years. 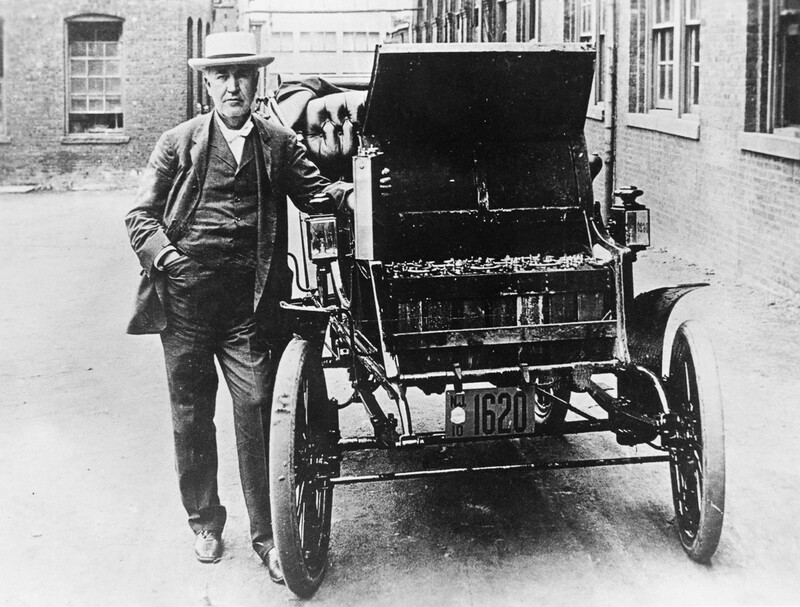 Here’s Edison’s electric car. That’s very cool story bro! Research it! Energy sector could also be a good research topic. But this sector is deep enough to be a seperate article topic. This is why, For now I can only suggest that you should do research on this. Energy Sector related tags; antimatter(Produced in America but not cheap at all), space and time bend(new energy sources are under investigation), Alternative Energy Resources (r1, r2), Fusion Power, Tesla Gigafactory, and different kind of engine models. Now, we can list automobile companies that work on autonomous(unmanned, self-driving, driveless) cars. What is the autonomous car actually? In the simplest terms, self-driving cars managed by artificial intelligence software and powerful computers. In addition, these vehicles(self-driving cars) must have dozens of different sensors to run successfully. These two topics have many details. In general we’ll deal with the topic of internal systems. The automobile sector has changing standards according to each country. That’s why, It’s not easy for car brands to add a new design or feature to their cars. We’ll focus on developing a car’s cockpit systems under this topic. This is the point where everything starts in the real sense. So BigBang! To understand how an self-driving works, we will focus on what tools and techniques we need to use in this area. Of course, there will be no artificial intelligence training. Just try to catch a general perspective. Together with every big new technology, changes in our lives and our world occur. When we start to use unmanned cars, many of the enviromental factors we have used before will also have to change over time.